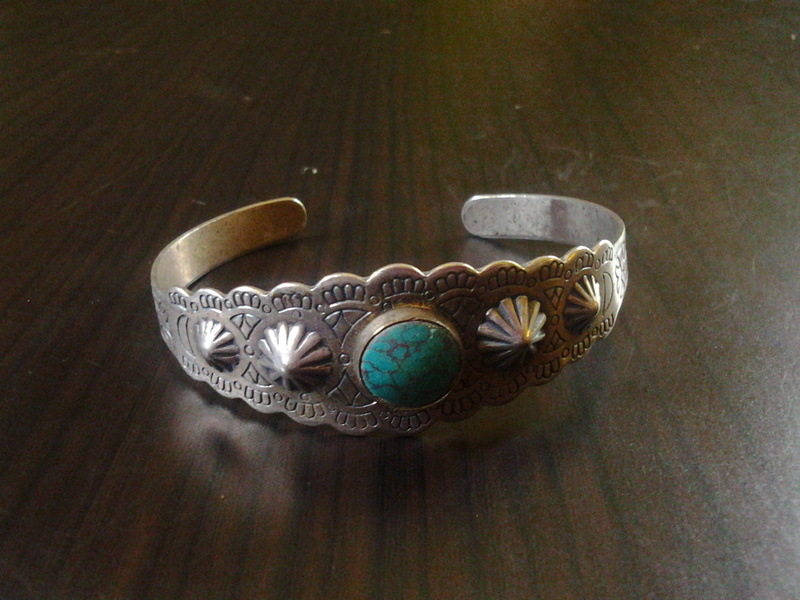 Origin of Stamped Cuff Bracelet please………. This cuffed bracelet is the only item I saved from my “play” jewelry as a child. 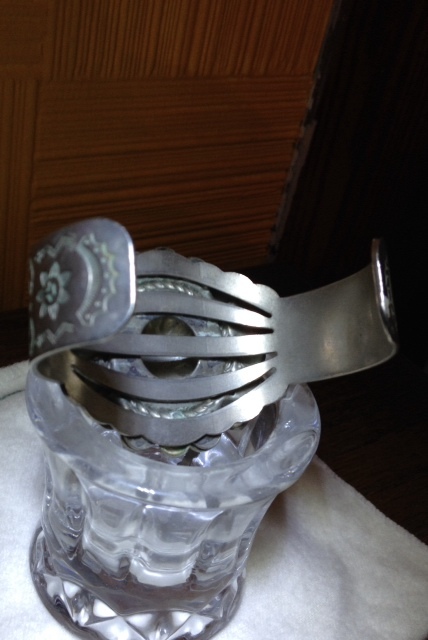 It was probably given to me from my grandmother about 40 or 50 years ago. I have no other history about it. 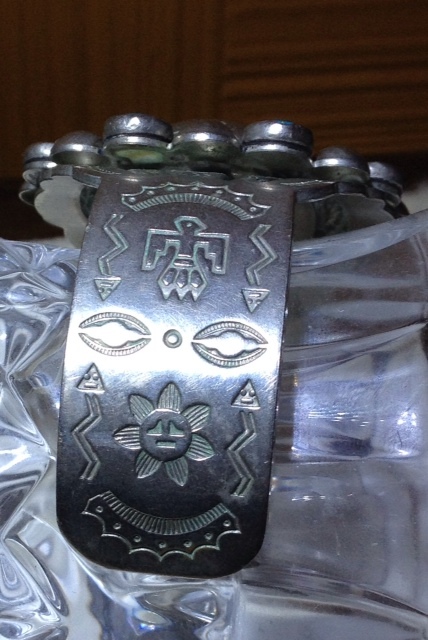 Do you recognize this stamped symbols on this bracelet or possibly it’s origin? Thank you for your blog. Any insight is very much appreciated. 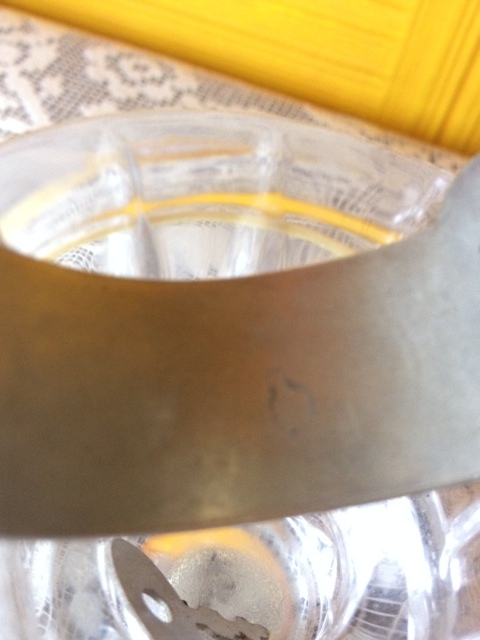 It is possible that is the remnant of one of theirs or Sun Bells hallmarks and is just worn from years of play ! 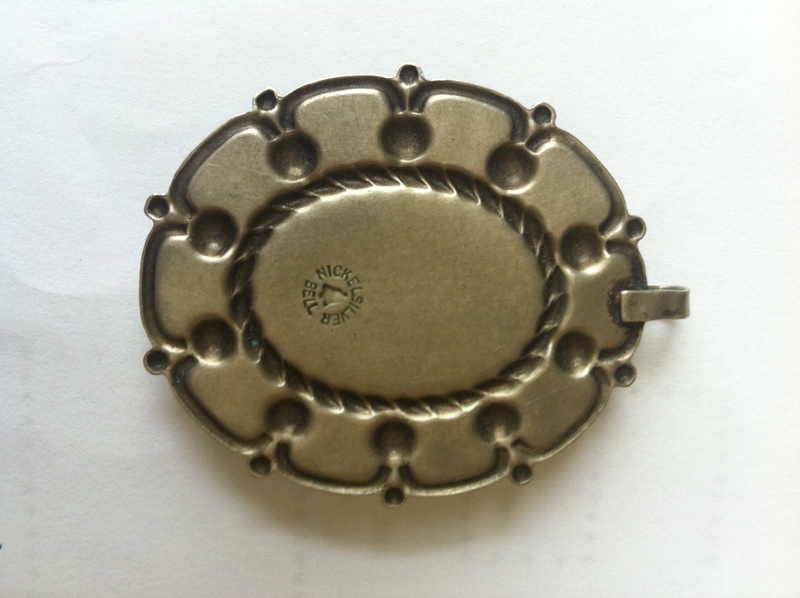 It is of the typical design and style and with stamps of that era. Are these items from my grandmother real? 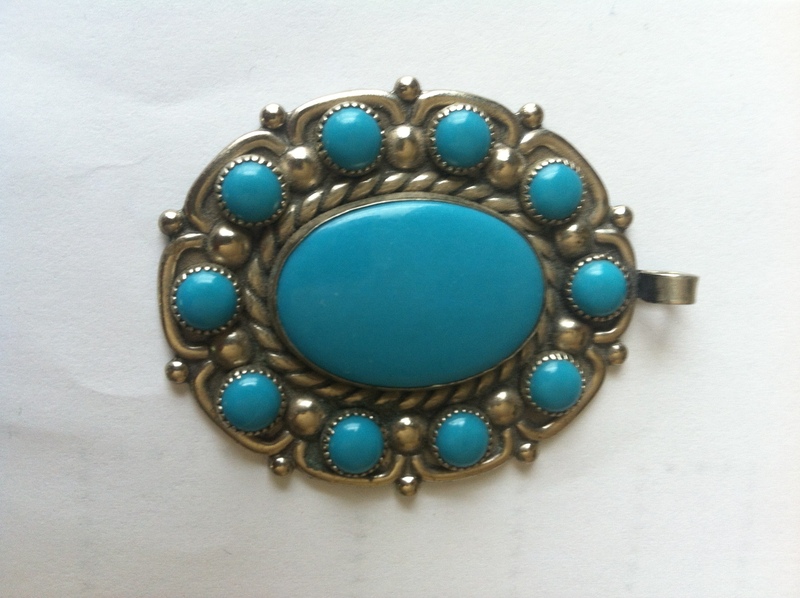 I found your email from a blog and was wondering if you could take a look at a couple of pieces of jewelry that I inherited from my late grandmother. I know nothing about these pieces or even if they are real. Any help is greatly appreciated. There is a necklace, ring and bracelet. Yes of course they are real !! I see them and you can touch them !! All joking aside……. 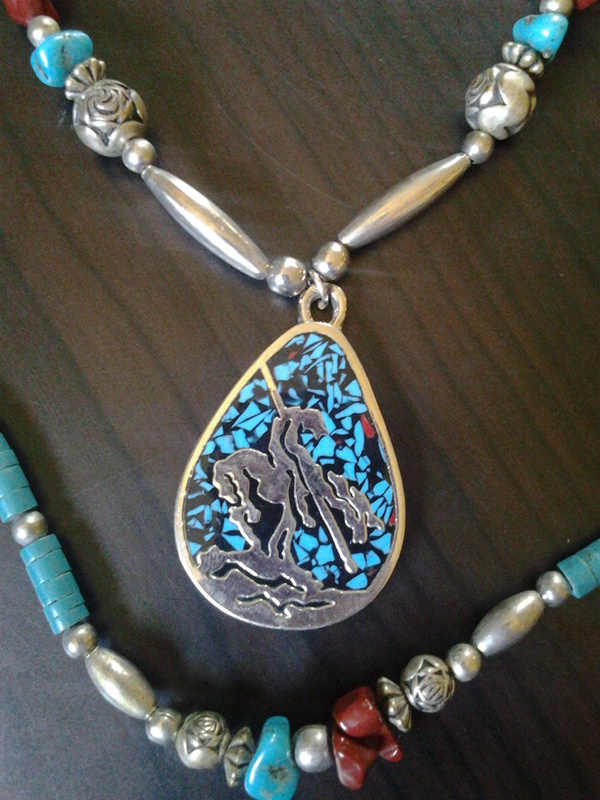 Whether or not these items are Native American made or not, they are treasures since they came from your grandmother ! 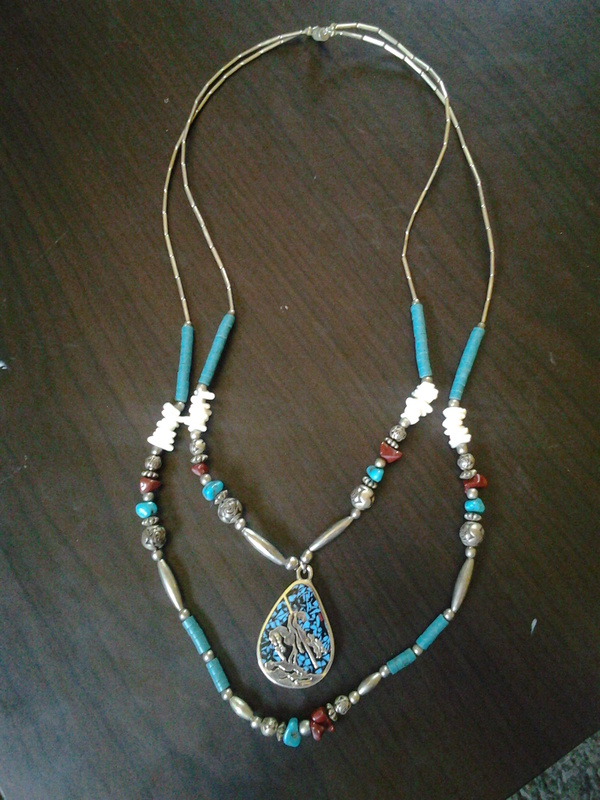 I’d say the necklace is Native American style but not Native American made. 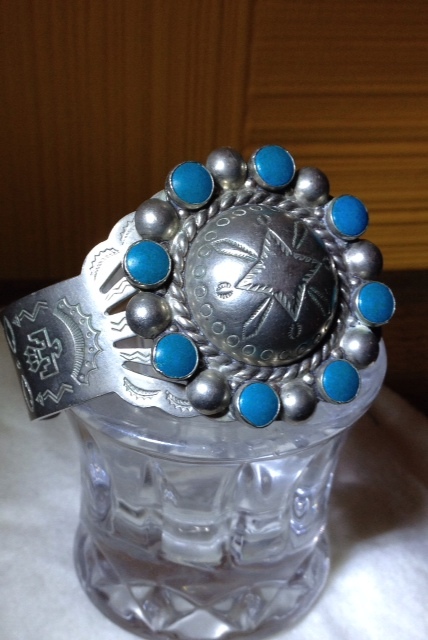 The bracelet could very well be Native American made – it looks like something from the Fred Harvey era, perhaps from Bell Trading Company. You can read about that in these articles and perhaps look for some hallmarks. 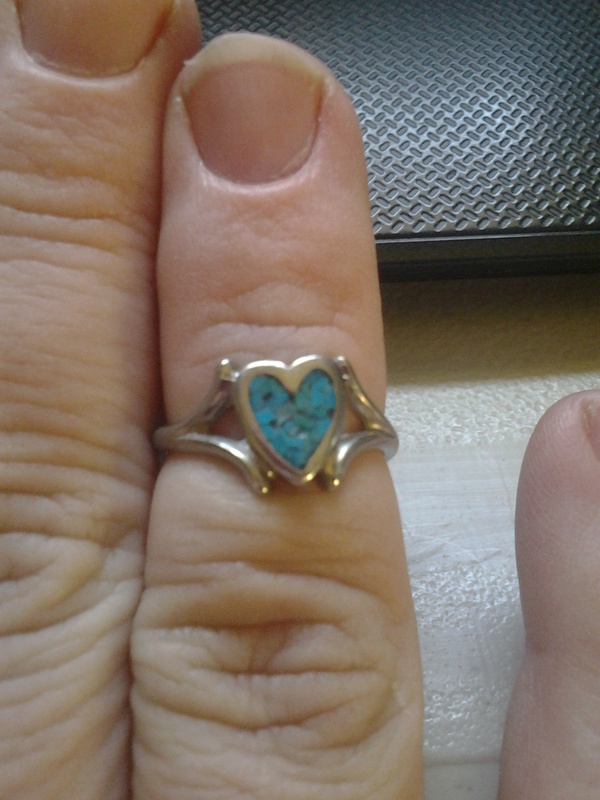 As far as the ring, it is a chip inlay ring that may or may not be Native American made. 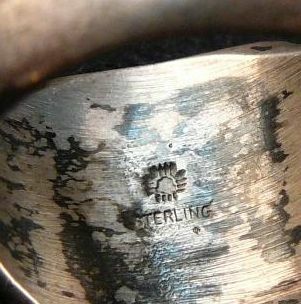 We have a similar ring in our pawn shop that tests positive for sterling silver but has no hallmarks. It came in an estate lot so we don’t know the origin of it but if you click on this photo it will take you to the page where you can read more about it and chip inlay. Enjoy your treasures ! And be sure to read the comments left by others about this post. Valuable information !